Kids homework help can be a little tough to find, unless you're lucky enough to have a willing neighbor or grandparent to step in. If your child is struggling on a regular basis, consider the big picture: is homework help all that's needed, or perhaps the more in-depth services of a good tutor? I've partnered with WyzAnt to offer my site visitors access to 40,000 verified professional tutors, many of whom specialize in working with children. Just type in your specific subject and zip code, and you'll be on your way to academic success today. The costs of tutoring vary dramatically. I've assembled a rates page to help you decide what fits into your budget. If you can afford professional, im-person help, it is the best way to go. A skilled educator in a one-on-one coaching relationship with a child can yield dramatic, long-term learning results. If that's out of the budget and your child works well online, consider an Internet tutor instead. You have a lot of options here. Many parents like working with a tutoring center because they have package deals and access to highly qualified tutors. Others prefer the flexibility of an independent tutor. I'm compiling a select list on this site. Whatever you choose, the most important thing is that you interview the tutor to find out what her qualifications are and how she will work with your child. Next, the child must work with the tutor on a trial basis to see how they fit. If, after a few sessions, it seems the tutor is not a good match for your child, continue to look. There are many wonderful kids homework help options available. 1. What is your philosophy of elementary education? 2. Why do you work with kids? 3. What experience have you had working with children my child's age? 4. How do you respond to learning difficulties? 5. How do you stay in communication with the parents of your students? These will get you started. Explore this site for subject-specific information on finding the academic support your child needs. Here's to your (and your child's) success! Return from Kids Homework Help to Elementary Tutors. Download 50 learning apps for children ages 4-9 from LeapFrog. Their education technology is truly amazing and inspiring. 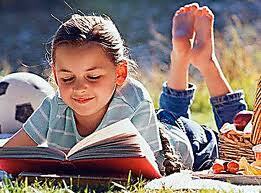 Help your young child learn to love reading. These storybooks sing and talk to your child, making learning to read fun. The Didj Custom Gaming System makes learning fun for kids but keeps you in control.